At the very heart of sports is a sense of competition. The idea is that we compete against ourselves and we compete against our opponents. Competition innately brings out the best in us, because we are being pushed internally and externally to get better than we were and gives us goals that allow us to try and be more than we are today. So why is it that there is almost no competition in the area of sports video gaming? Some of the answers to my question come quickly and easy. EA has locked up an exclusive NFL contract that it parleys into the Madden franchise every year. There are some baseball games out there, but only one series really takes the serious, licensed approach in MLB: The Show. Other companies have tried, with 2K sports having attempted to create baseball and hockey franchises, but never seemed capable of reaching the same heights of success that their NBA franchise has. I suspect part of the problem is that for a sports title to be taken seriously, and seen as 'authentic', it needs to be licensed. I don't know the details around the licensing fees, but I suspect that they are not cheap. If the 2K hockey series was not selling well and not being well-received critically, it is a good business decision on the publisher's part not to sink the money into licensing and development costs. Yet as someone who is a serious fan of all four major US sports (hockey, basketball, baseball and gridiron), I cannot help but be disappointed at the limited number of options at my disposal. Maybe this is just me being an old man by video gaming standards, but I recall multiple sports titles on my NES and Sega Genesis. I did not have the money to buy them all, so I generally bought the one I thought I would like best. Companies had to bring their A game to the table, because if they took even one season off, there was a good chance that their competitors would close the gap or even surpass them. I would argue that the Madden franchise was at its best in terms of ingenuity back when 2K was nipping at its heels. So what did EA do? Well, the made a smart business decision and worked out an exclusive agreement with the NFL that stands today. Instead of raising their game, they simply removed the competition. This is not an article meant to pick on EA - quite the opposite I plan to talk favourably about the NBA Live series here in just a bit. However, these four major sports tend to release on a yearly cycle, which makes sense given that the sports themselves reboot annually. I have no problem with yearly releases, because as a sports fan I enter each new season with hope that my favourite franchise is going to do better than last year and possibly win the championship. Most of the sports titles on the market are a great deal of fun and well-made. The Show is a fantastic MLB game year in and year out. The NHL games by EA have some of the best presentation values of any sports title on the market. The NBA 2K series was so dominant that EA's rival basketball offering actually had to go on hiatus for a couple of years and go back to the drawing board. Honestly? I thought it was going to go the way of so many other sports franchises and throw in the towel. 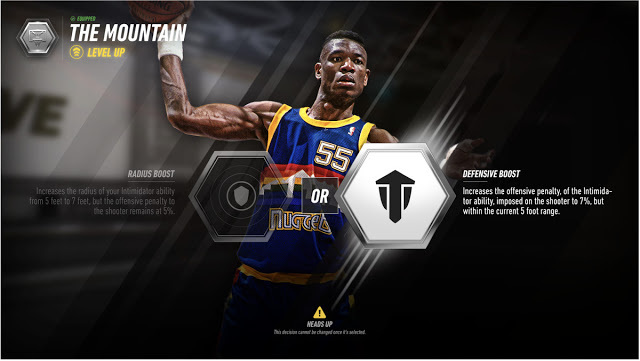 That being said, something interesting happened when NBA Live was reintroduced. It was a bit rough around the edges, but you could see the hints of a really solid foundation starting to take place. Meanwhile, the NBA 2K series seemed content to offer only incremental improvements to what was already a fantastic game. Even more troubling, at times it seemed as though the 2K series was more interested in trying to figure out how it could make more money by making its Virtual Currency more of an integral part of the experience than ever. Don't get me wrong, EA doesn't get a free pass here as its various versions of 'Ultimate Team' are a clear money grab attempt as well, but it's really focused around a particular mode of play. 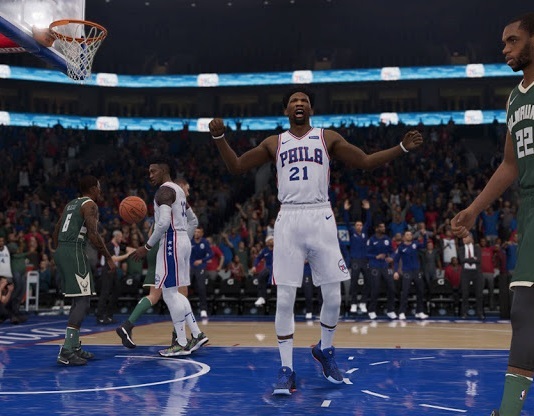 In the NBA 2K series it permeates the entire experience now, giving off a distinct pay to win vibe that may not bother everyone, but absolutely tilts the scales in the online competitive modes. Meanwhile the NBA Live series has continued to tweak and refine its offering, and this year has convinced me that my hypothesis that sports video games would benefit from more competition. I reviewed both titles (NBA 2K19 here and NBA Live 19 here) - and I was surprised to find that the gap has closed quite a bit between them. I still rate the 2K series slightly ahead, but considering a few years ago the NBA Live series looked destined to be forgotten, this is quite a pleasant if unexpected development. Not content to be a clone of the more popular 2K series, NBA Live this year has adopted a bit more of an arcade feel, still offering progression that is compelling and plenty of modes to play. 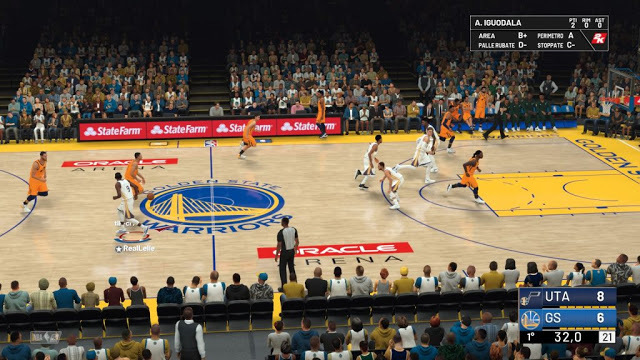 There are rough edges in NBA Live's gameplay, but those also exist in the 2K series. Maybe not as many, but will that be the case next season? It's impossible to say right now. Perhaps the NBA Live series will simply tread water next season, or worse yet regress - but what if the momentum of the last couple of years continues? Ideally that would be the case and hopefully that means that the team behind NBA 2K will take note and realise that they need to step up their game - because they have competition. The lack of microtransactions permeating every part of the experience certainly helps NBA Live 19, but there is a fluidity to the gameplay - especially the dribbling moves - that is actually more enjoyable for me than the movement found in 2K. Admittedly, NBA Live is a bit behind in presentation and I would love to see them add some narrative to their gameplay - but given that those things have become part of the recent Madden and FIFA experiences, is it so far-fetched to think we might see it show up in NBA Live next year? I don't think so. Competition is a healthy thing that brings out the best from an athlete. It seems only natural to believe that the video game industry would benefit from it in their sports titles as well.